There’s two types of camper van lover out there – those that like old dream rides like the retro camper trailer, and those that like supercharged pimped up rides like the Ford Terrier M Sport and this souped up VW Camper. 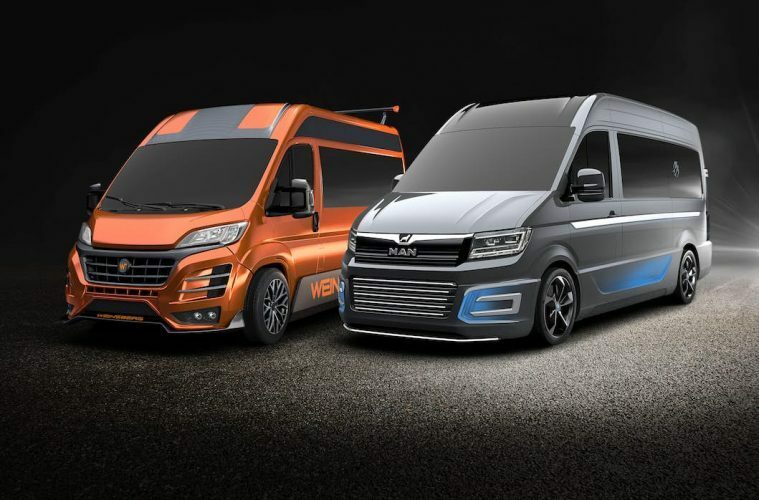 If you’re in the second category and like rides that have come from another realm then the new custom campervan range from Knaus will make you feel like you’ve just watched back to the future for the first time all over again. Knaus are well known for making awesome products; from the space age Knaus Deseo 400 TR trailer through to the super charged Knaus Boxdrive CUV, here is a company that really know how to knock out a luxury custom campervan, and when they do they don’t do things by halves. Knaus are hitting the camping and off road market hard, and pretty soon they’re going to be major competition for the Mercedes sprinter campervan conversions that we all know and love. 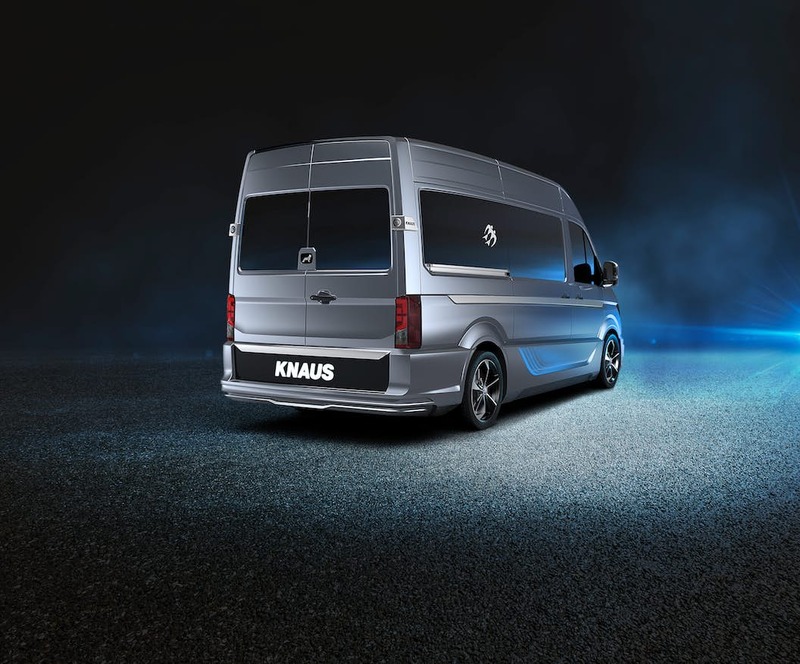 There’s two new players on the block in the Knaus custom campervan range and they could both be contenders for sports personality of the year. They’re big, they’re bold, they’re bright, and they look like they’ve come straight from the set of Tron. 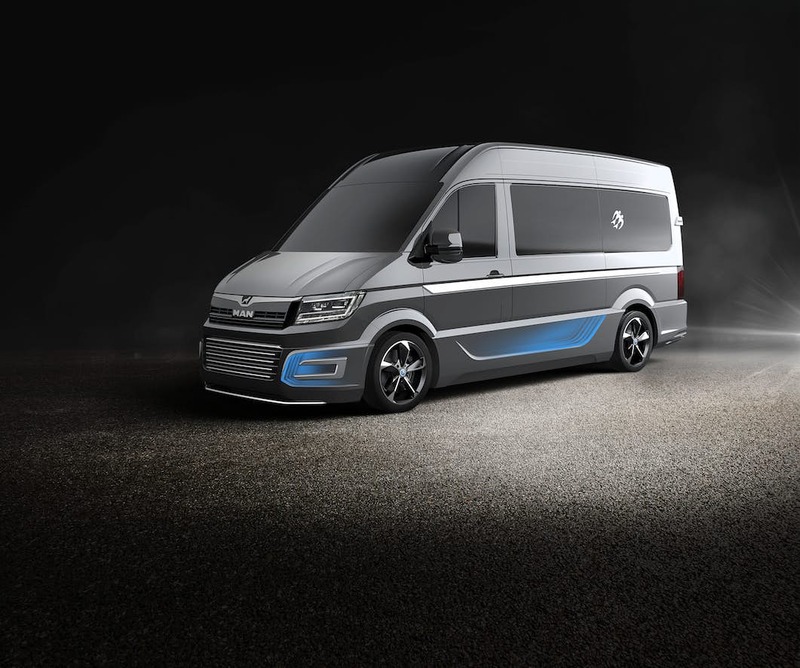 First impressions are that with the double exhaust and low looking trim this is a camper for the younger vandwellers in the Van Clan community, and we might be forgiven for thinking that this won’t make it into our Top Eco Campers list. 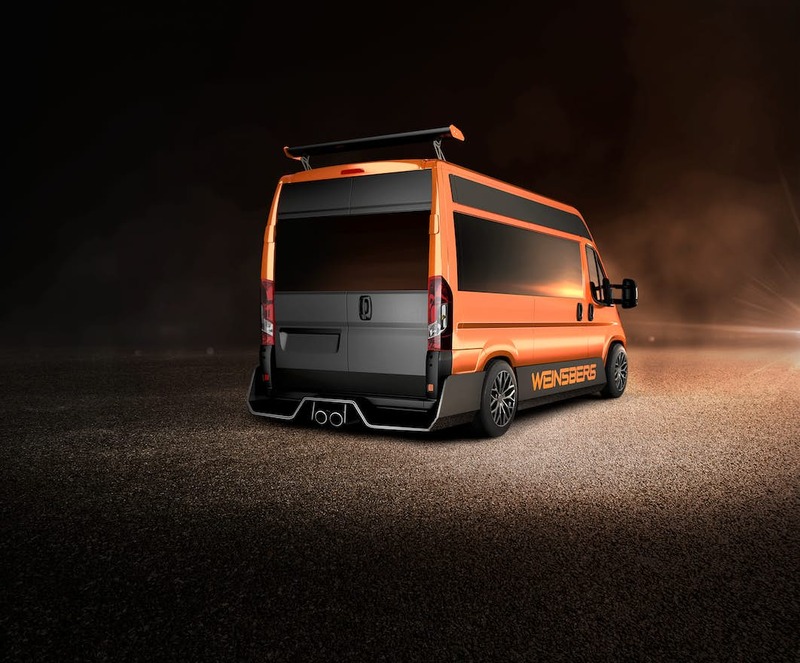 This custom campervan is meant to be driven hard, and it certainly looks the part if you want to look fly when you rock up to the campsite. The CUVision looks a lot stealthier than its neon brother, and reminds us more of this ultra smooth camper from Outside Van. The sporty add-ons might be less noticeable but they’re still there if you know where to look – check out the low-set bodywork, the tell tell spoiler and the dash of electric blue on the trim. 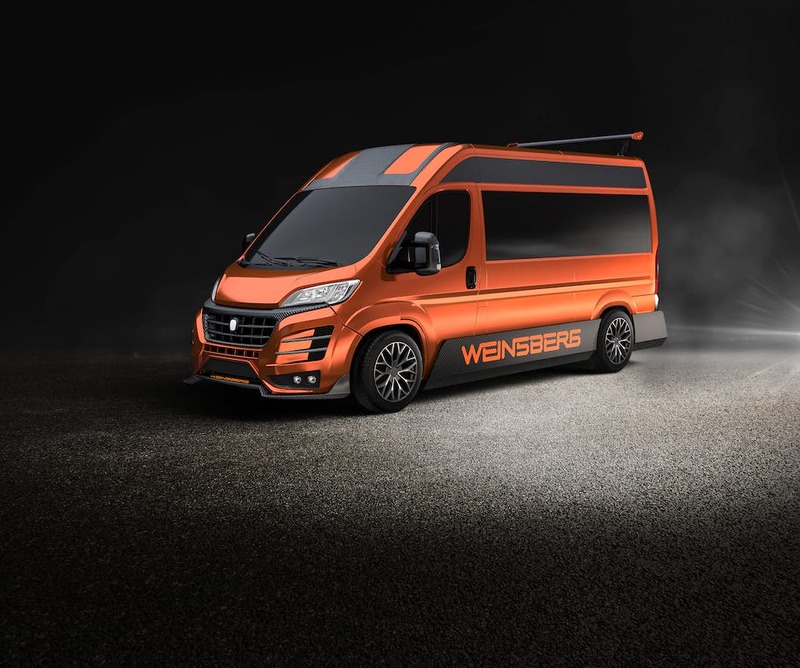 This new custom camper range from Knaus might not beat the LaFerrari Camper in a race down the fast lane, but it’s a good way of injecting some street cred into the camper world. We’re still waiting to take a peek inside the CUVolution and the CUVision, but hopefully pictures will arrive soon and we’ll share them as soon as we get our hands on them. We can expect more fresh looking worktops, futuristic gadgets and a whole load of space saving solutions that will make life living off the grid a whole lot easier. The price is still under wraps too, but knowing Knauss they’ll give you good value for money and pack it full of crazy extras. Let’s hope that we’re not wrong! Portable Solar Charger – Charge up whilst out on the trail. XL RidgeMonkey Toaster – Cook pizzas in your van without an oven. BioLite CampStove – Turn fire into electricity whilst cooking your smores!